Music can play a very important part in creating the the right mood and ambiance for any special occasion and especially weddings. Steve offers a full and completely bespoke service for your wedding where by he will discuss with you your requirements and meet your expectations. You may hire Steve for any part of your day from guests arriving through to the evening. 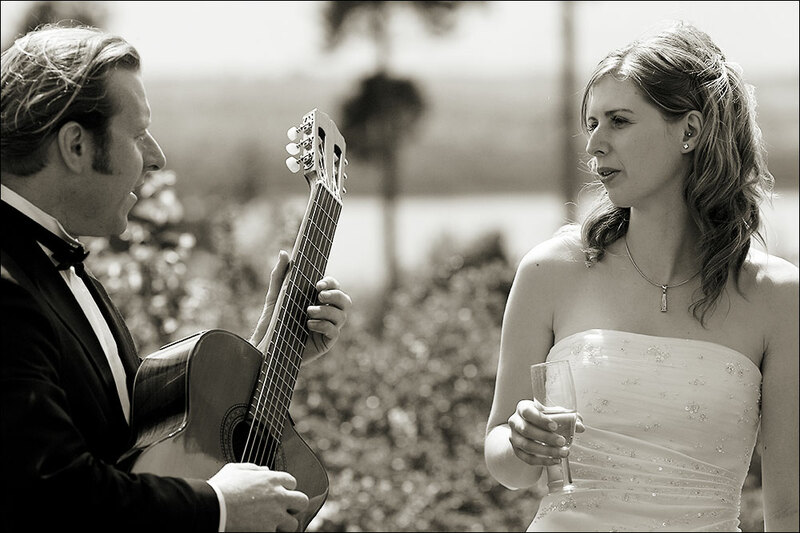 He specialises in providing a beautiful musical accompaniment to your bridal entrance or providing background music during any part of your day creating a pleasant and relaxing atmosphere for you and your guests to enjoy. Steve has a large repertoire of music choices and below are some examples of some popular music choices. Steve is also happy to learn something new just for you! Before the service- Cavatina – Stanley Myers Romanza – Traditional Spanish Gymnepodie – Satie. Evening music – Steve also plays with a Soul Band (The Motor City Vipers) for wedding receptions and corporate events. Quaranteed to fill dance floor all night long!